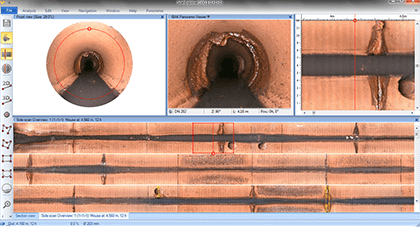 For faster review of inspected pipe, ScanExplorer displays the pipe wall as a flat strip whose width and height correlate to pipe length and circumference. Four synchronized views (section, side, front, schematic) make it easy to navigate, measure and annotate scans, and also see corresponding inclination data. 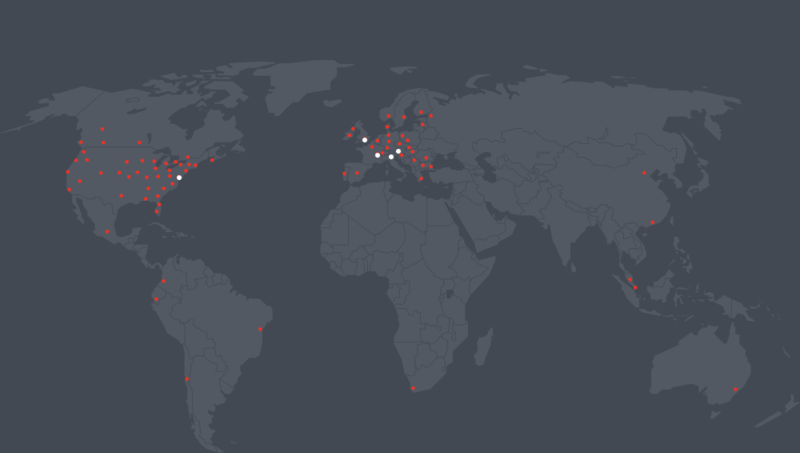 ScanExplorer opens DigiSewer, RPP and Panoramo scans.